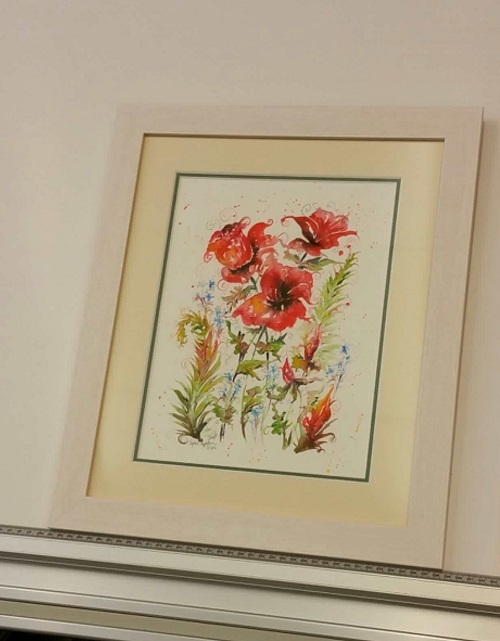 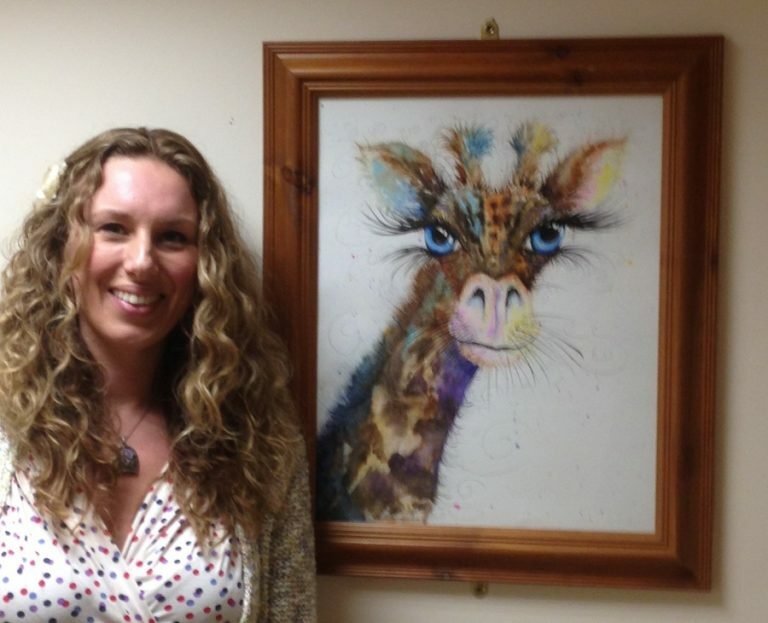 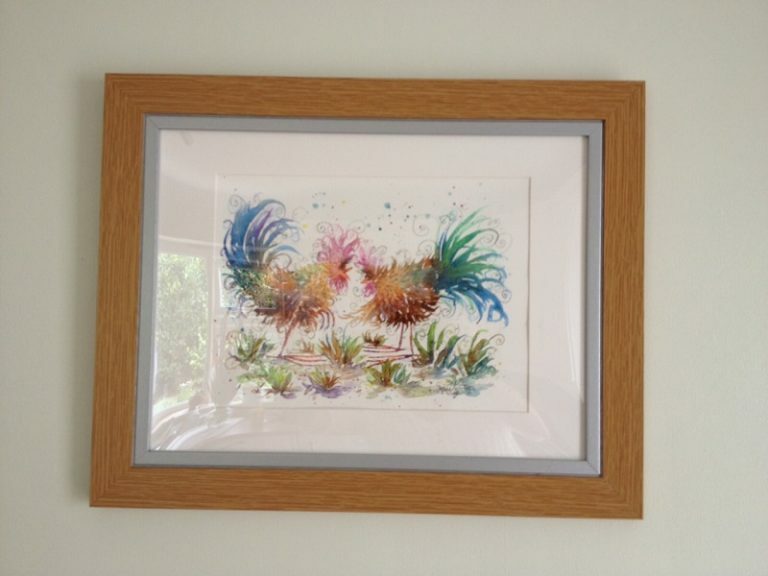 View a selection of Sophie’s Paintings and Prints in frames and read what customer’s have to say about the artworks. 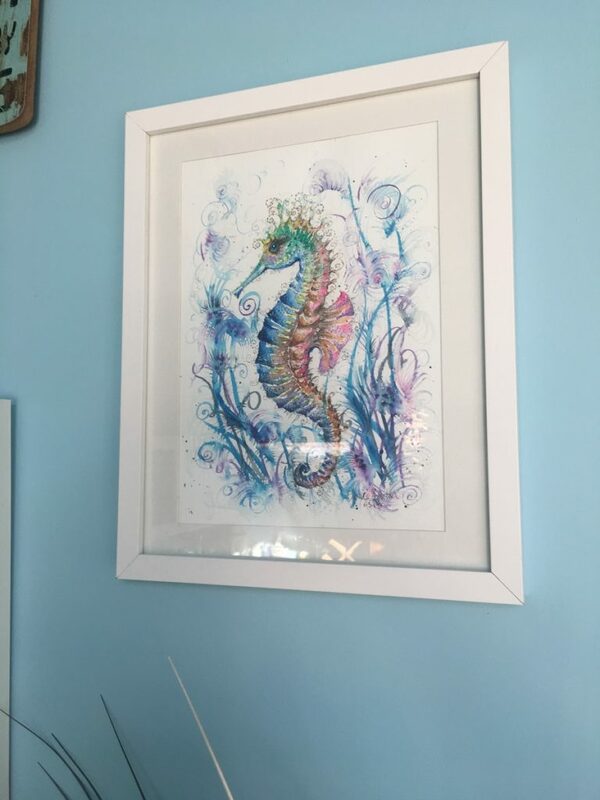 It is always a joy to hear from my customers and see my art up and framed. 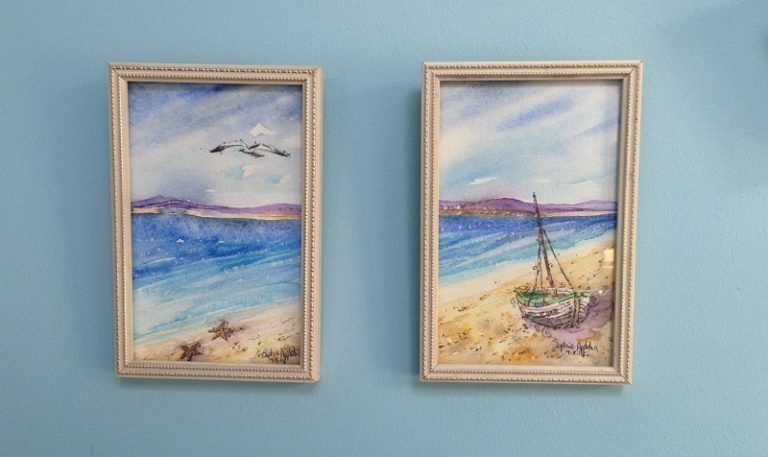 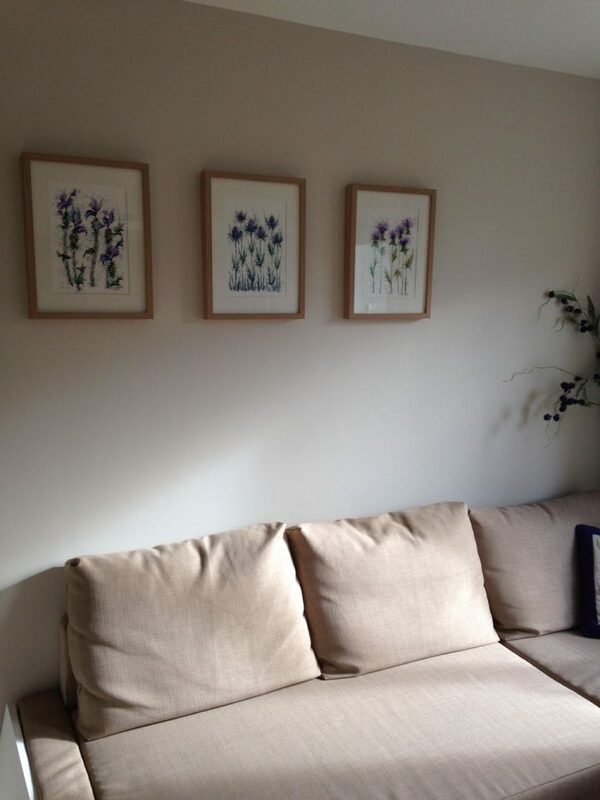 Carol Billingham from Essex has sent me this lovely photograph of three paintings which she purchased from my website. 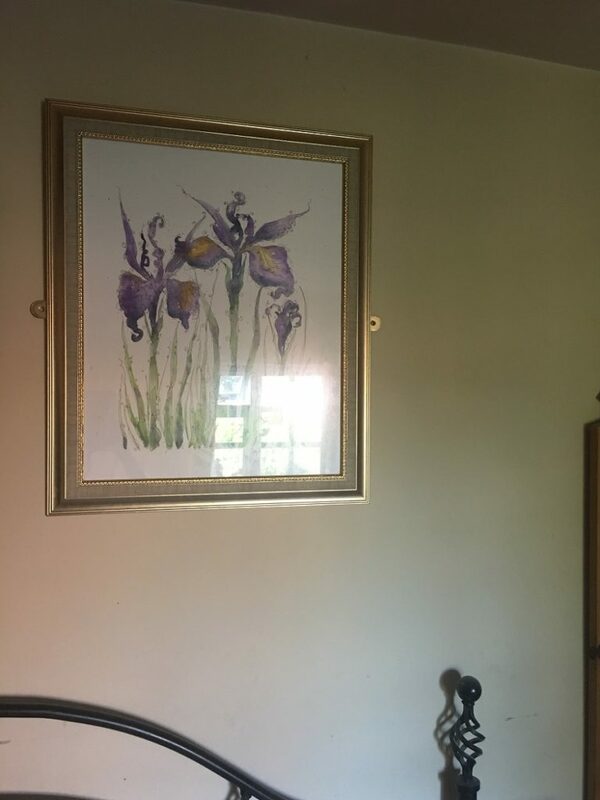 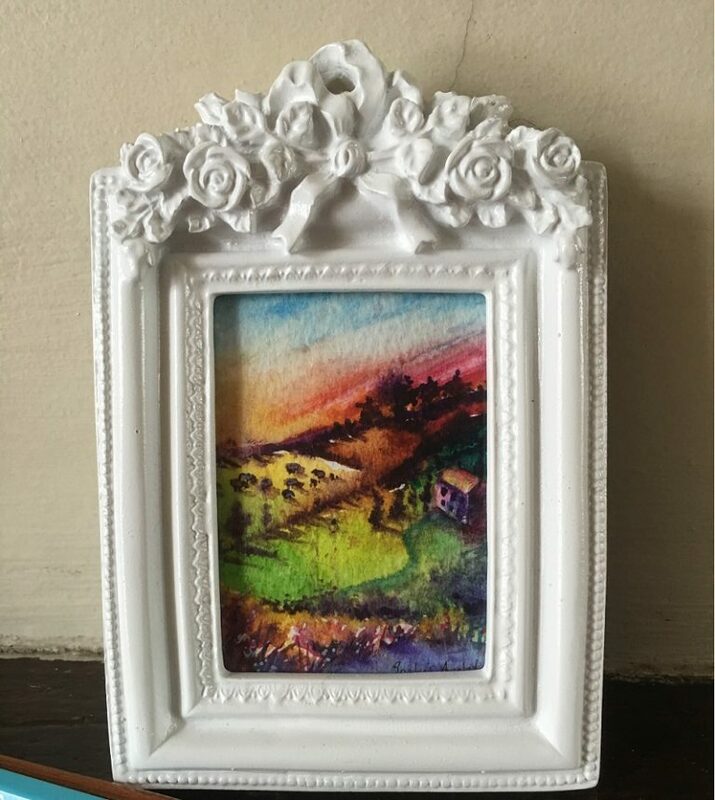 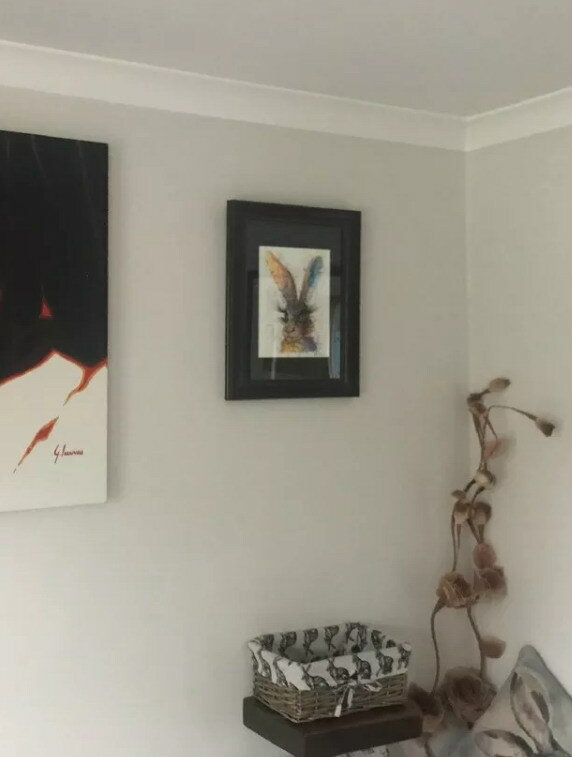 If you would like to have your photograph on this reviews page, showing how you framed and placed your painting or print in your home, simply email or text or messenger me the photo. 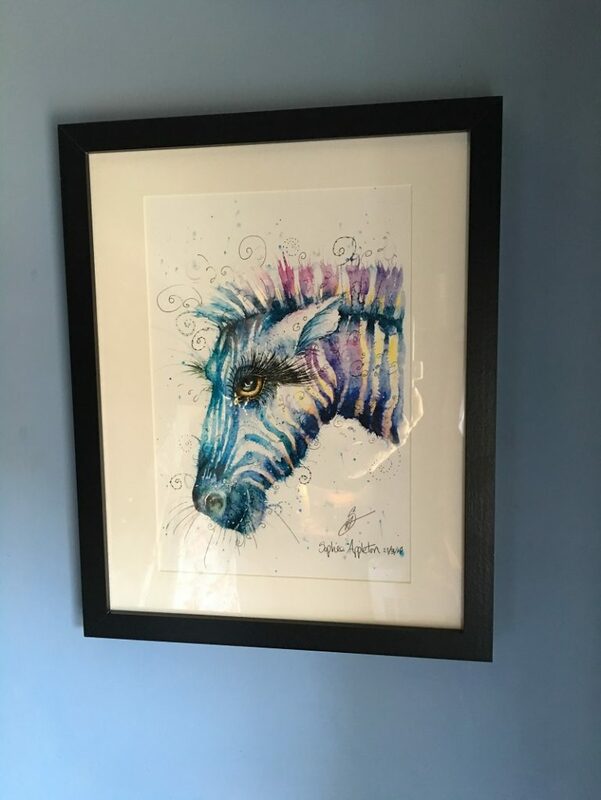 This customer purchased and framed the Unicorn Magic art and framed it with a magical glistening frame. 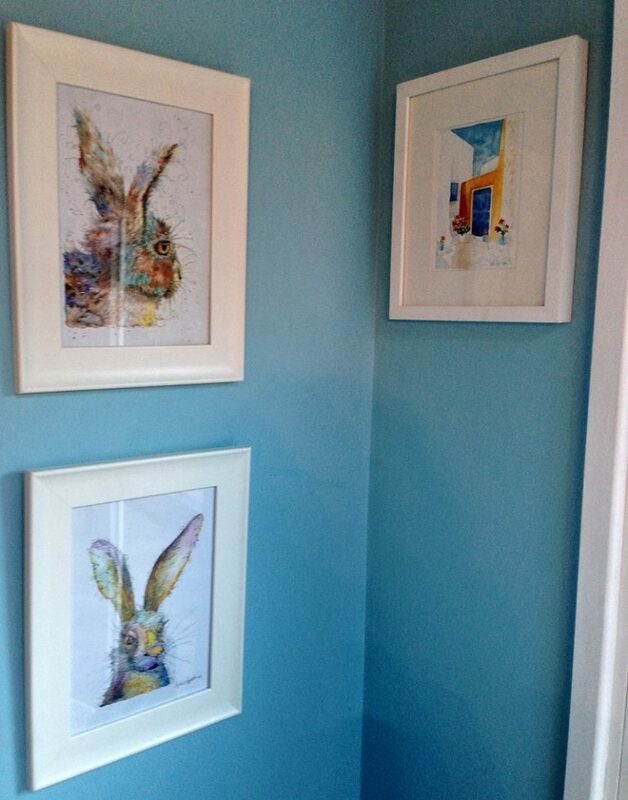 More comments from the customer added soon. 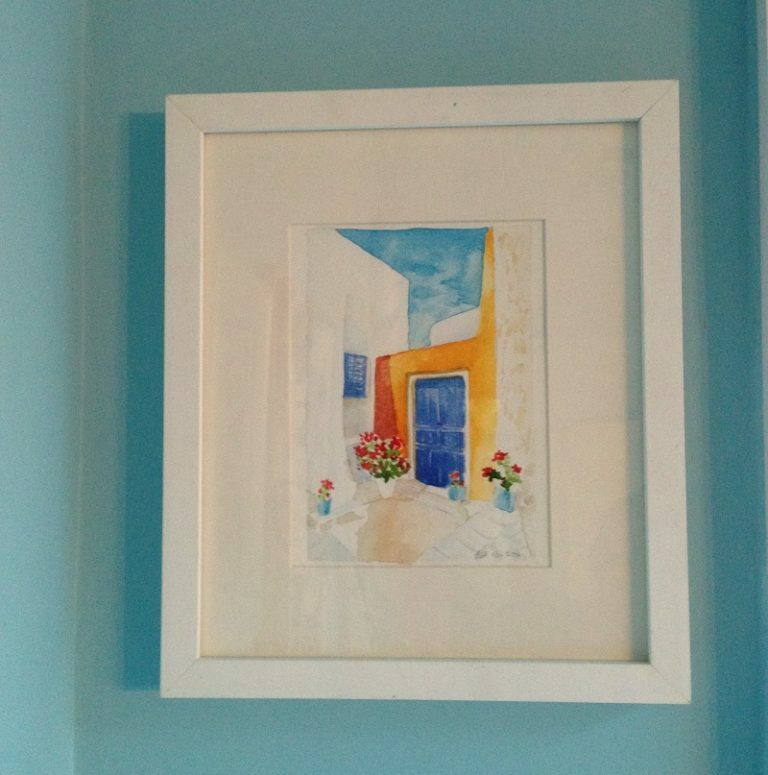 Customer Jeremy Green framed in a modern way to suit the cool decor. 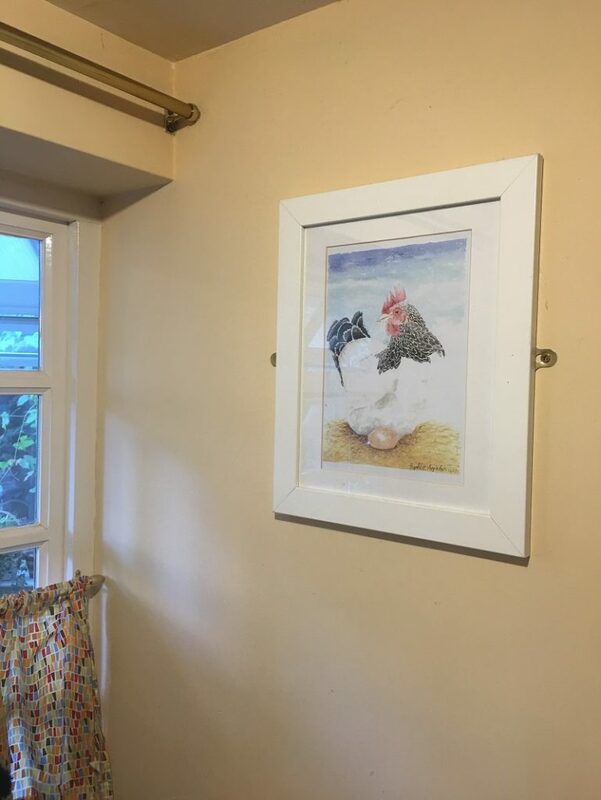 He simply said ‘Looks great hay’. 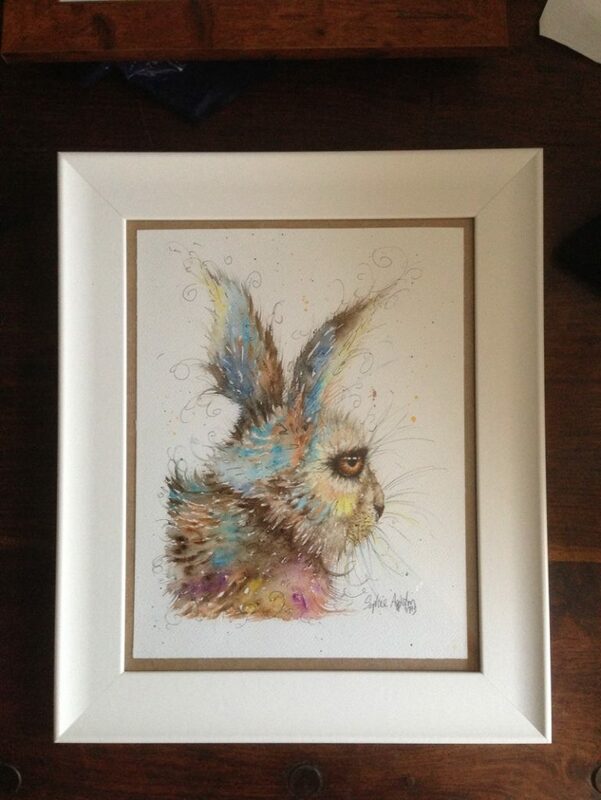 Hare Art original watercolour by Sophie huddlestone. 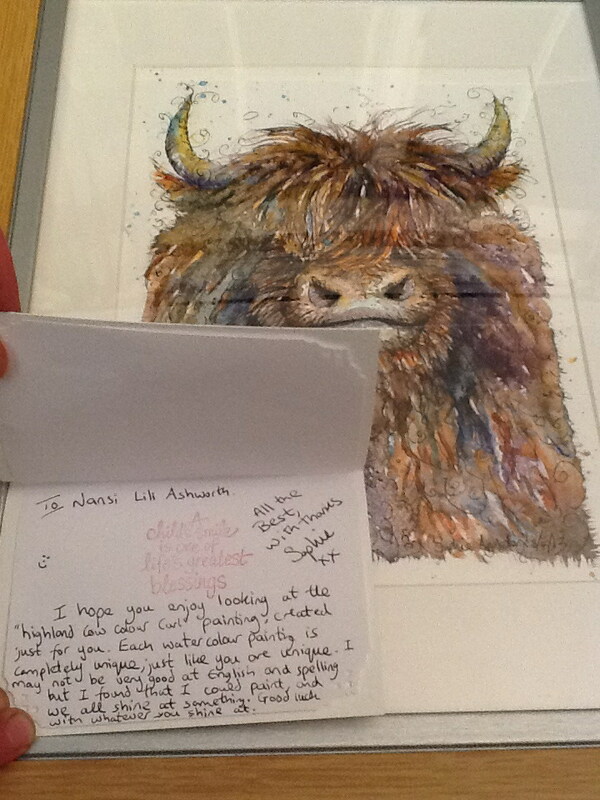 Customer said ”My original Sophie painting was an alternative christening gift, not only was I delighted with the fun and mischievous Highland Cow, I was deeply touched by Sophie being so generous in spirit and including a note to my God Daughter, a rare treasure. 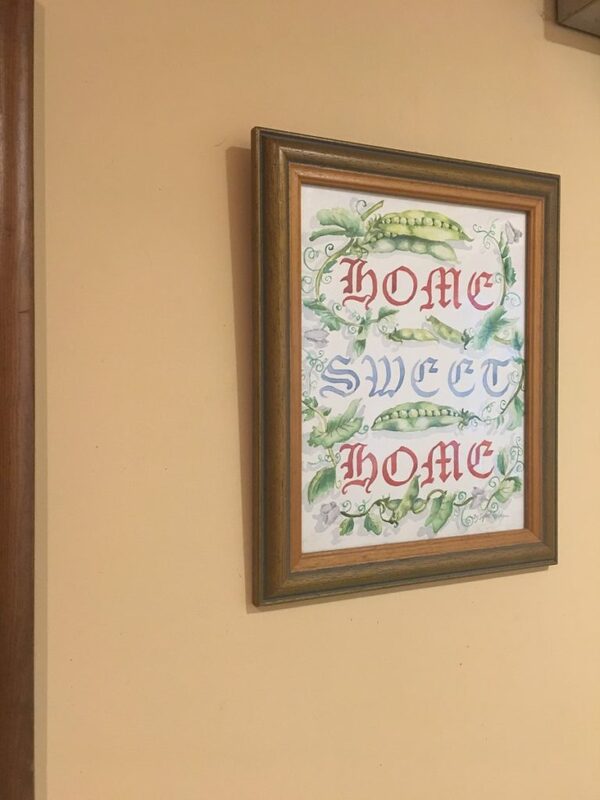 Thank you, Lisa Morris”. 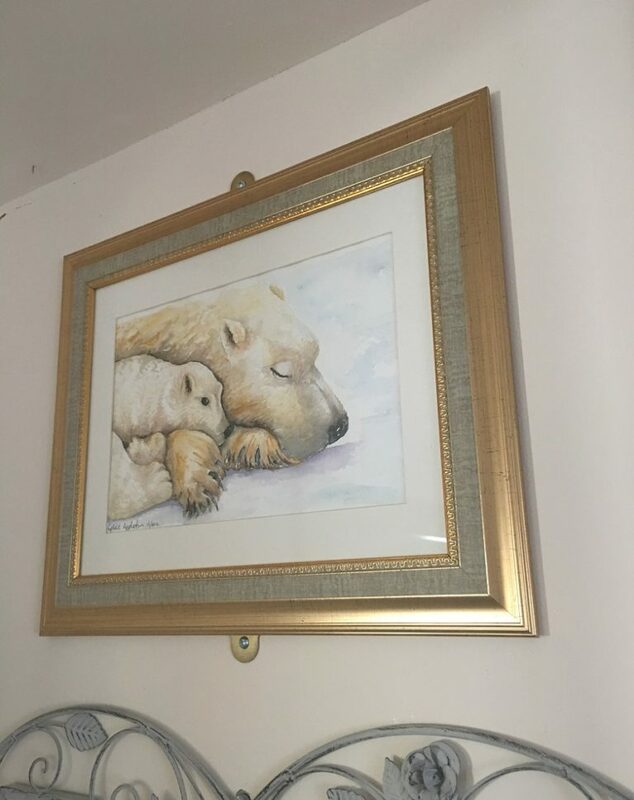 This customer purchased from my old sixfootsophie site in 2013 and returned in 2018 to this new one to buy more. 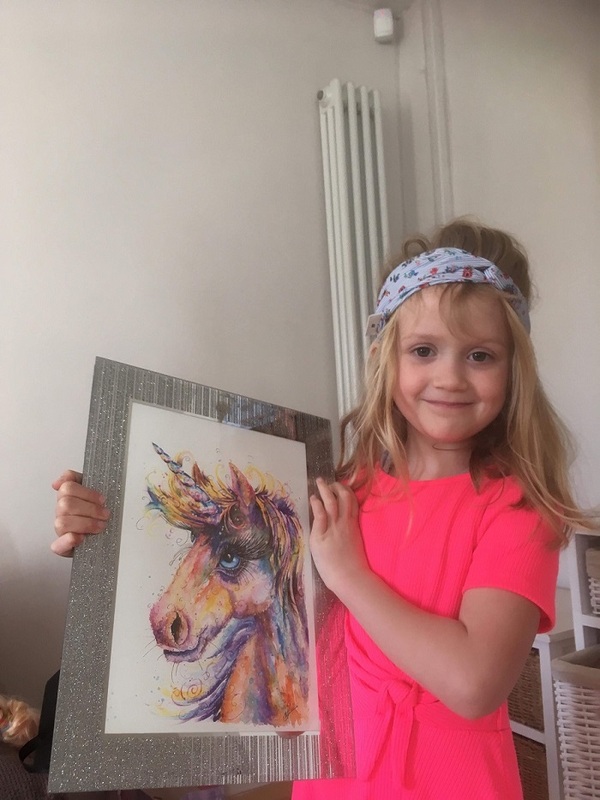 Painting by Sophie Huddlestone. 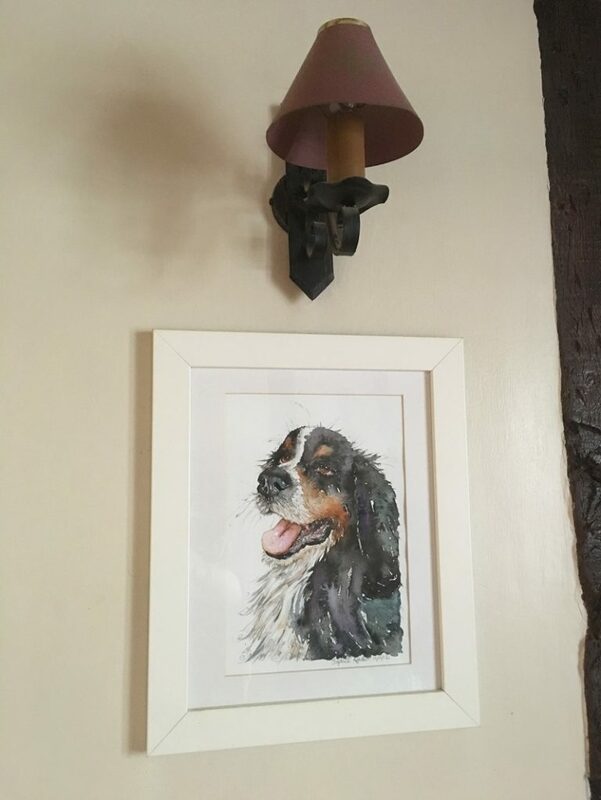 This original painting of a dog has the ‘by Artist Sophie Huddlestone’ name plate on it, even though it was painted while using my maiden name Appleton. 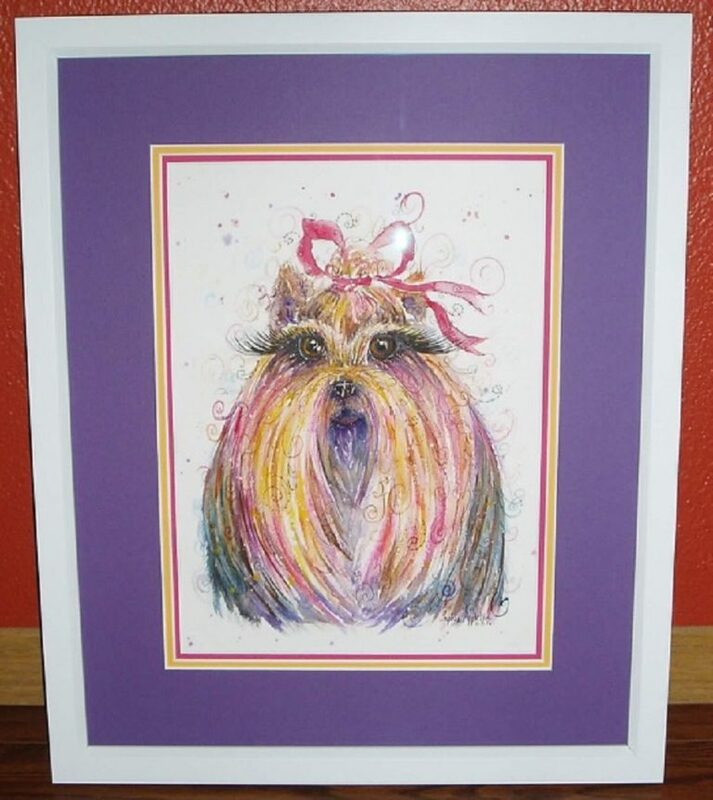 Darla Cira said “Doris the Dog painting is for my girlfriend in Iowa United States. 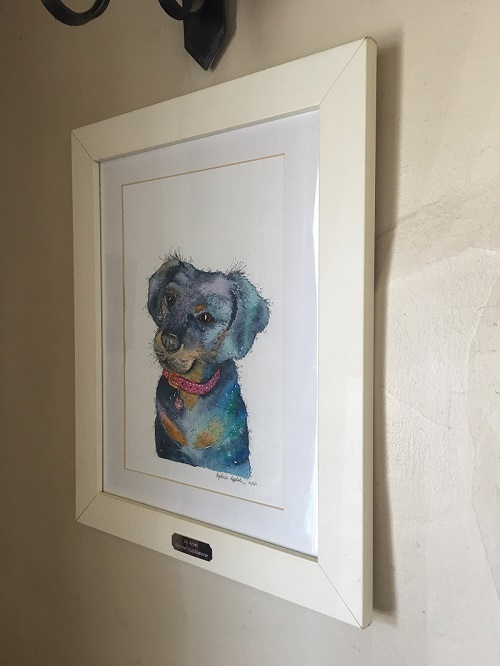 She loves Yorkshire Terriers and I showed her a picture, love your painting and she loved it so I thought I would get it for her for a gift”. 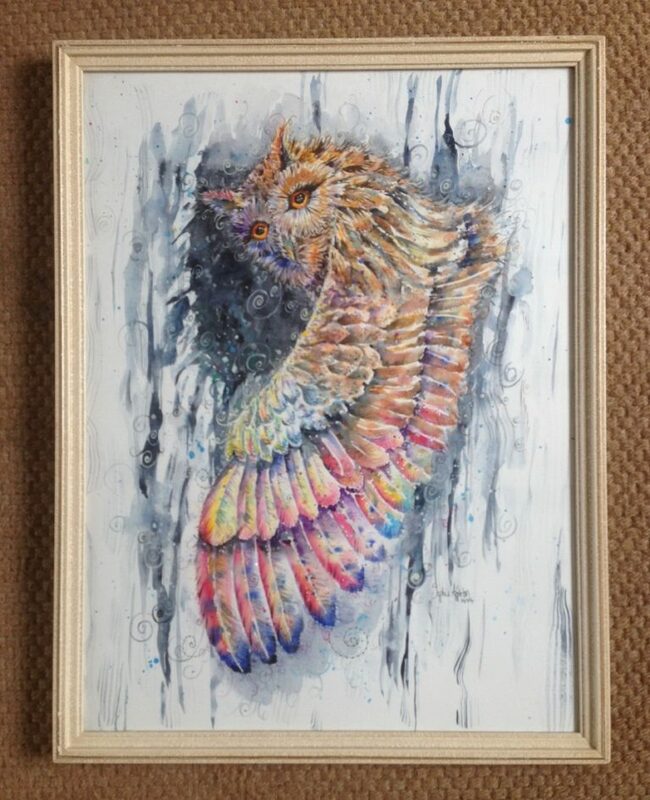 Original painting 14.1.17 by Artist Sophie Huddlestone, but the beautiful frame was by Darla’s wonderful friend Lori Filmer Vonk, who is very sadly missed since she passed away. 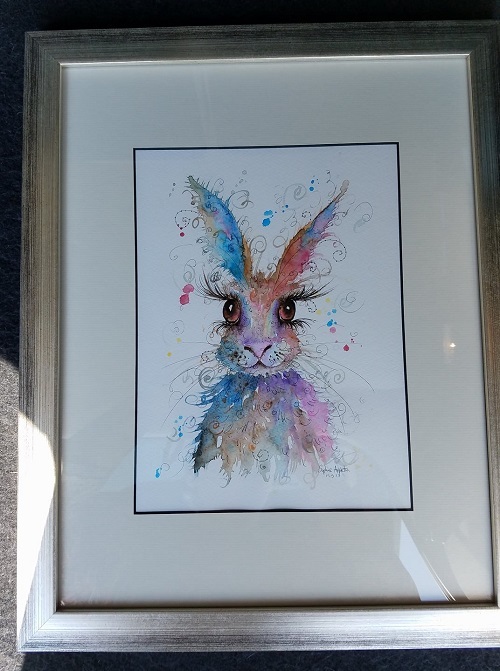 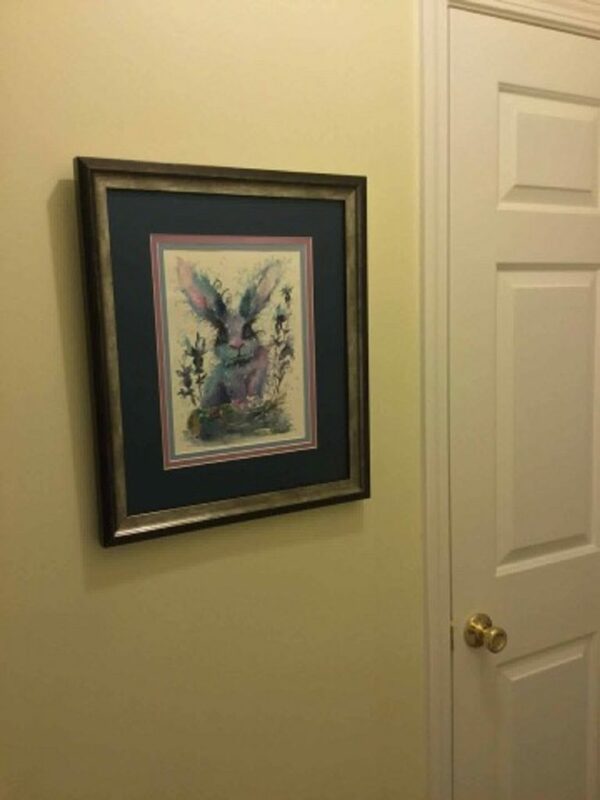 Darla Cira from the United States loved this original midnight bunny painting, she framed it beautifully 15.9.17 by Artist Sophie Huddlestone. 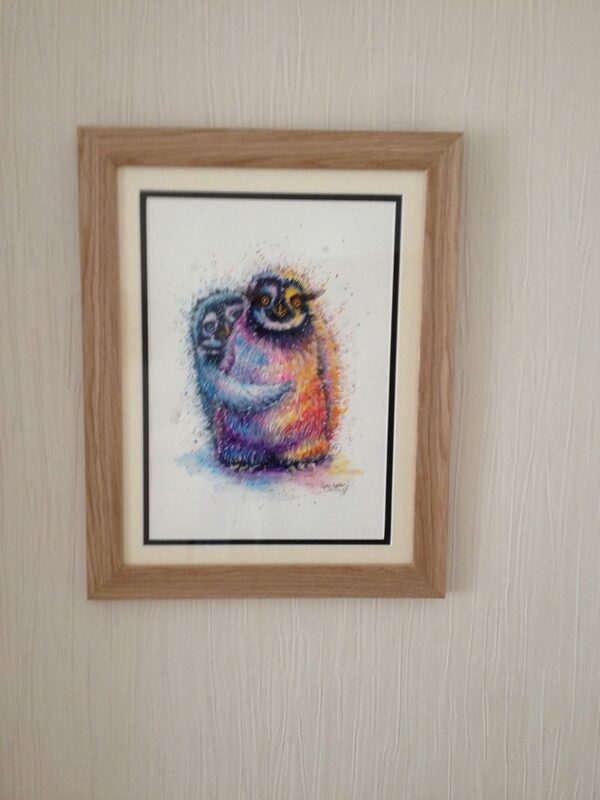 We have since become great friends via social media and often have a good old chin wag. 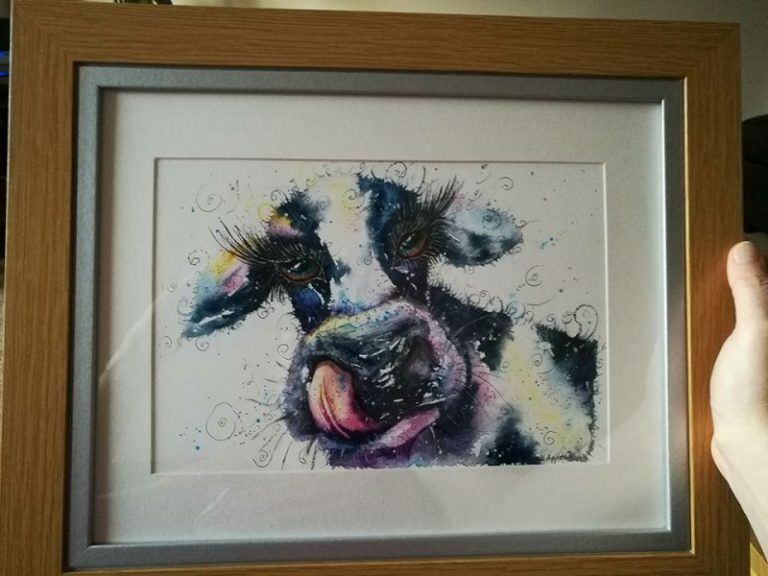 Customer Karen delighted with this funny Cow print 14.1.17 by Artist Sophie Huddlestone. 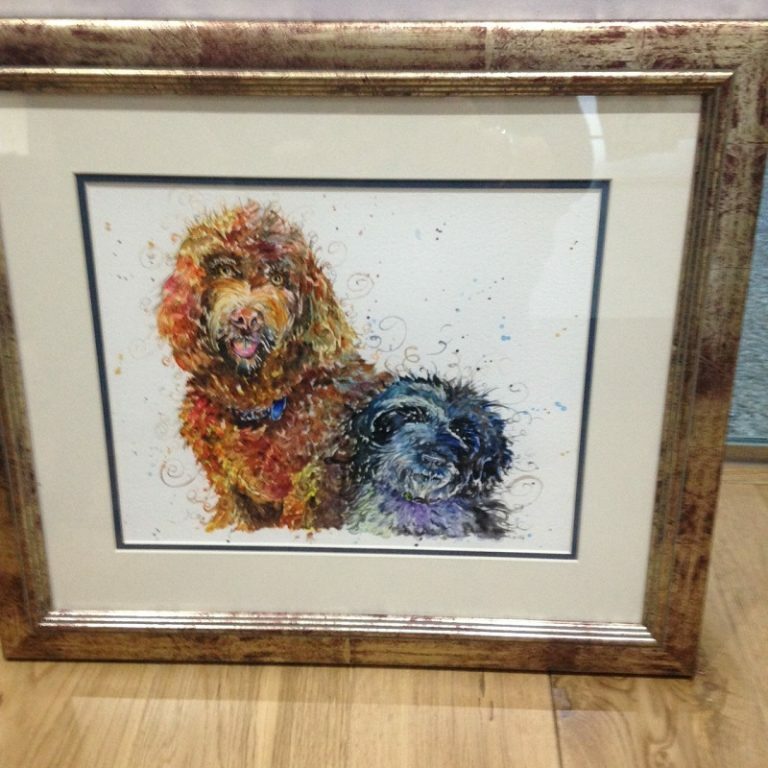 Karen Everest said “Mummy’s Christmas present all framed and ready to wrap. 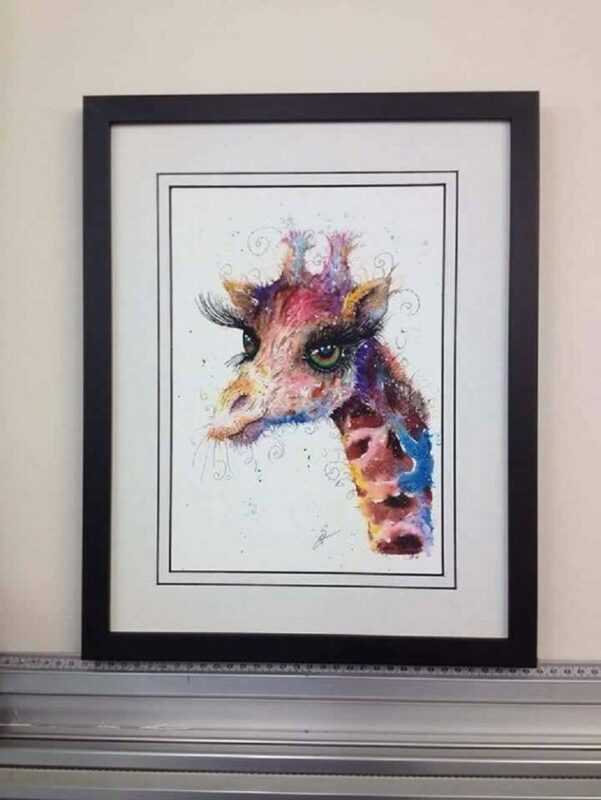 She is going to love it!” We became good friends via social media too, which is more rewarding than selling the paintings. 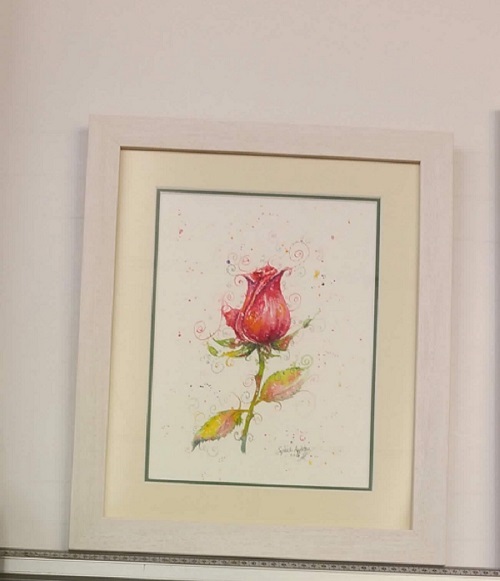 In April 2016 a few of my art prints were soon sold out, in contactus shop in Leicestershire. 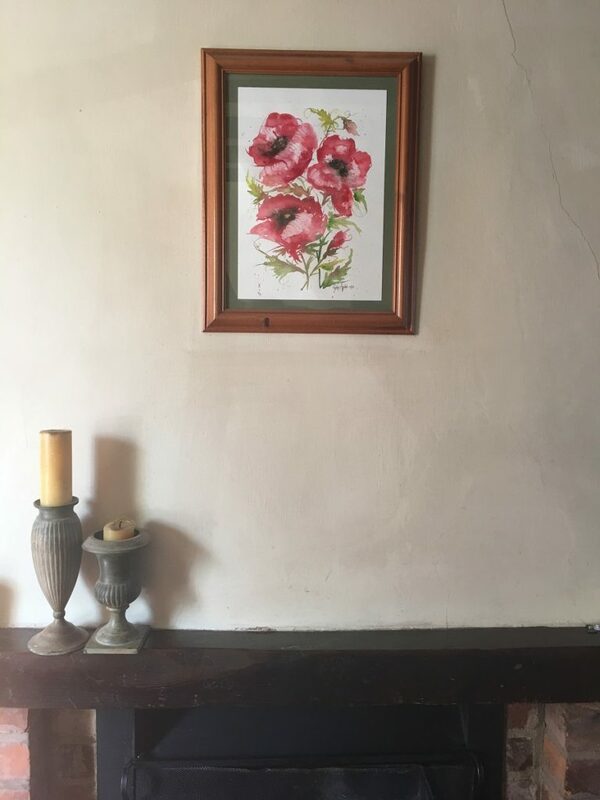 I only sell the prints myself now. 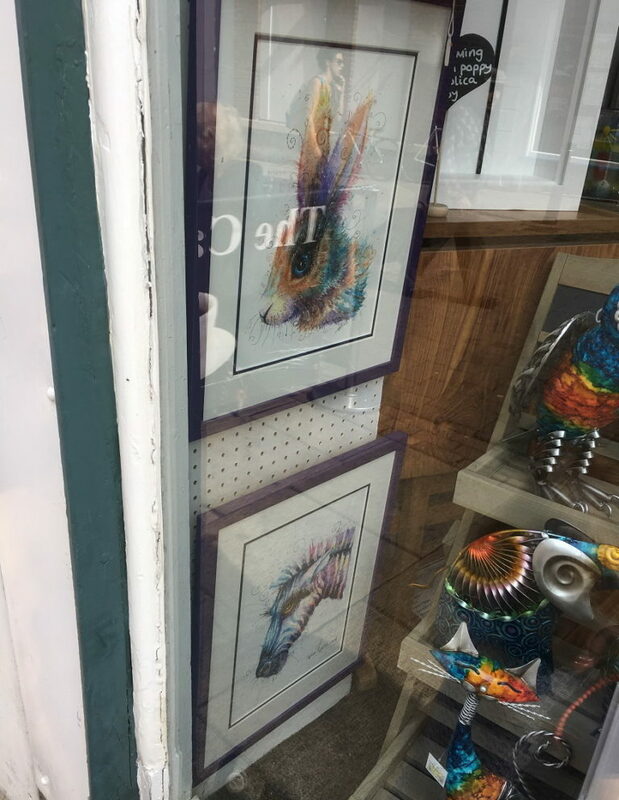 You can see the bunny and zebra in the window display, by Sophie Huddlestone. 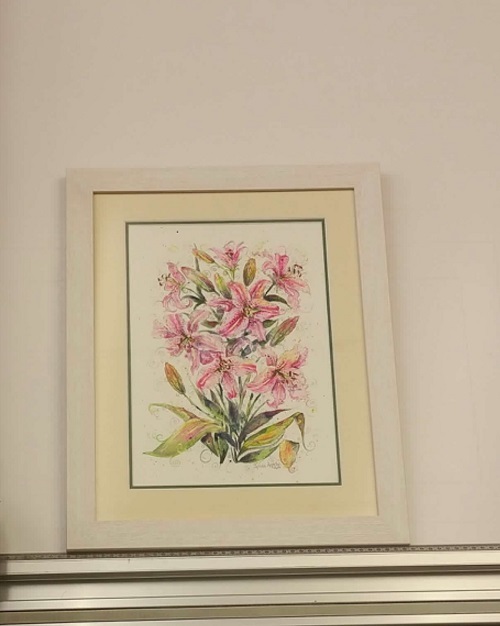 Customer purchased and framed three floral original watercolour paintings 25.4.14 by Artist Sophie Huddlestone They look great all in a row. 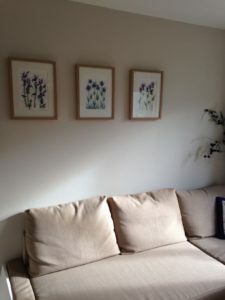 Carols comments are at the top of this page. 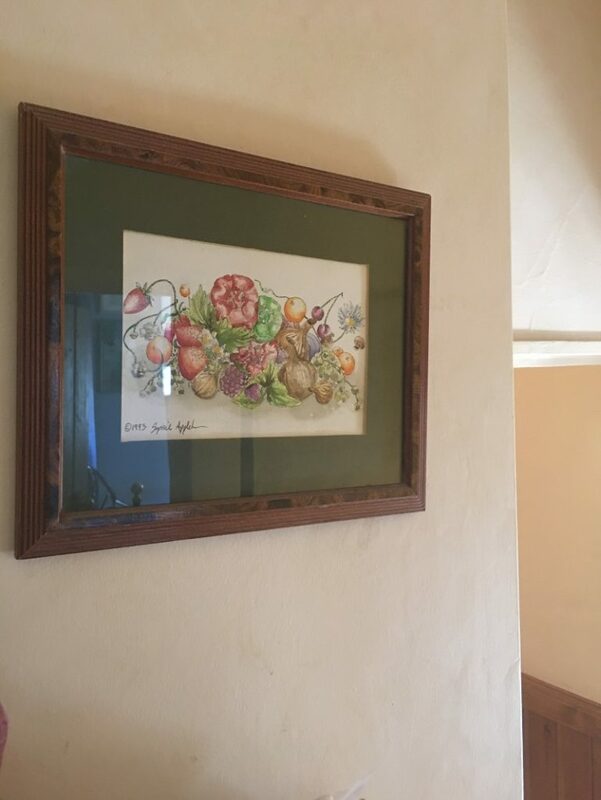 Thank you for allowing me to display your beautiful homes and I hope the paintings bring you lots of joy every time you look at them, with thanks, Sophie.